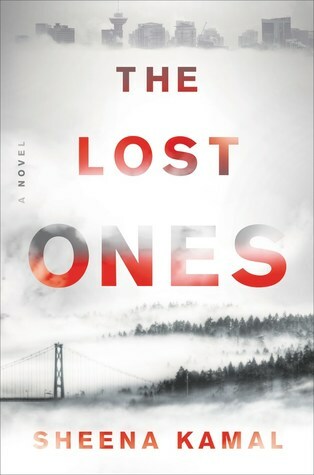 Last month, I listened to an audio of the thriller The Lost Ones by Sheena Kamal. This first book in a new series was dark, suspenseful, and compelling. Nora Watts helps find people. She works in a small PI's office in Vancouver, helping its owners with cases, especially those involving missing persons, and Nora has a special talent for knowing when someone is telling the truth - and when they are lying. This case is different, though. Nora was awakened at 5 am by the people she hoped never to hear from again - Everett and Lynn, the couple who adopted Nora's newborn daughter 15 years ago. Bonnie has been missing for weeks, and the police don't seem very interested, assuming she's a runaway, but her adoptive parents are getting frantic. A loner to begin with, Nora sets off on her own to investigate Bonnie's disappearance, caring more than she means to and following the scant clues to places and people that are totally unexpected. Nora, a mixed-race recovering addict in her 30's, is a damaged but fierce new heroine, somewhat along the lines of Lisbeth Salander of the Girl with the Dragon Tattoo series. Her past, hinted at in the beginning of the novel, affects her in the present and slowly comes to light as the story unfolds. The mystery itself of Bonnie's disappearance is complex and intriguing, with plenty of surprising twists and turns. To make matters more difficult, Nora is not used to trusting people, but she might need help this time. The tension grows, as does the danger and violence, and the foggy, dark, wet setting of Vancouver in the winter adds to the sinister tone and the suspense (plus, I enjoyed a novel set in a different place for a change). The audio production was excellent (link to a sample below) with first-person narration by Banhi Turpin that sounds like Nora herself telling you her story. All in all, I thoroughly enjoyed listening to The Lost Ones on audio and would definitely read another book in this new series. Or order The Lost Ones from Book Depository, with free shipping worldwide. There are so many good thrillers out there right now and this one sounds good as well.